Many families would feel more comfortable knowing their elderly loved one has a trustworthy and experienced caregiver by his or her side at all hours of the day. 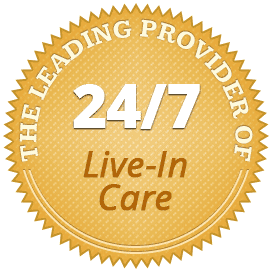 Whether your loved one needs around-the-clock assistance due to decreased cognitive abilities or during surgery recovery, the live-in caregivers at Home Care Assistance The Grand Strand can help maximize comfort and ensure safety 24 hours a day, 7 days a week. 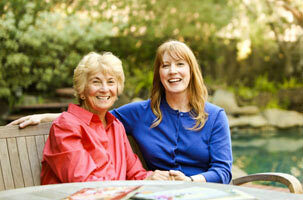 We take pride in knowing our caregivers can foster successful and meaningful relationships with their senior clients. Not only do our caregivers go through extensive background and reference checks, but we also try to match them with clients based on personality and shared interests. It’s that personal touch that makes choosing a caregiver from Home Care Assistance of The Grand Strand the right choice for your loved one. Our clients’ care experience is our top priority, which is why all of our care services come backed with a 100% satisfaction guarantee, and there are no hidden fees or long-term contracts when you choose Home Care Assistance. To learn more about our live-in caregiving services, call one of our friendly Care Managers at (843) 353-3105 to schedule a complimentary consultation.